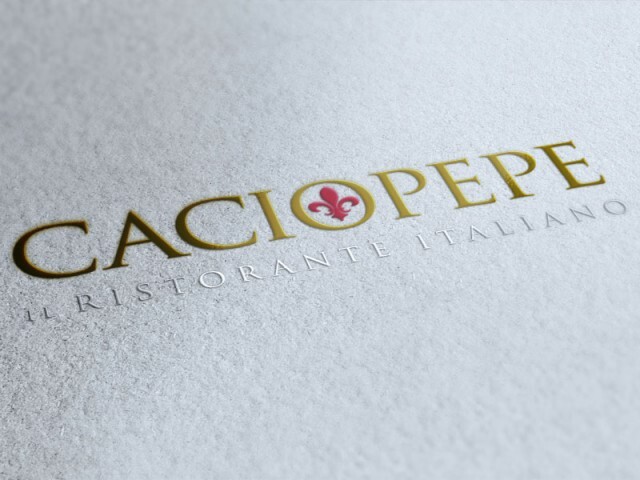 We were asked to create a logo that reflected Caciopepe’s opulent, lavish interior. The logo is built around a very well-proportioned, authoritative serif font, brought out by a rich colour palette of black, red and gold. The finishing touch is to integrate a shape inspired by the rail heads that were used in premium wrought-iron fencing which often surround¬ historic buildings.